A companion volume to the highly successful Field Guide to the Battlefields of South Africa, this features the pivotal sieges that characterised the Cape Frontier, Anglo-Zulu, Basotho and Anglo-Boer wars in one volume. 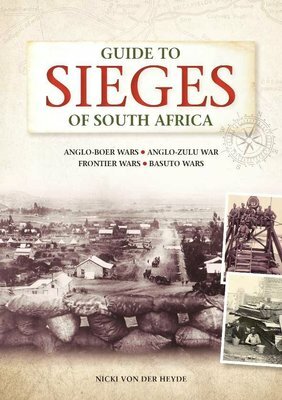 Accounts of 17 sieges over the last two centuries explore in detail the historical context in which they occurred, the day-to-day military actions that sustained the investments and the conditions both soldiers and civilians faced while defending their territory against a hostile force. The siege descriptions are animated by maps and a variety of information boxes and human-interest stories, gleaned from diaries, letters and eye-witness accounts, while longer features focus on the practical aspects of siege warfare, such as artillery, medicine, food, and the psychological effects of besiegement. The book also provides practical information for visitors who wish to explore these historical sites. A fascinating read that will appeal to anyone interested in the volatile history of the country – armchair historians and travellers alike.